Hydrotherapy refers to the application of water as a therapeutic agent. 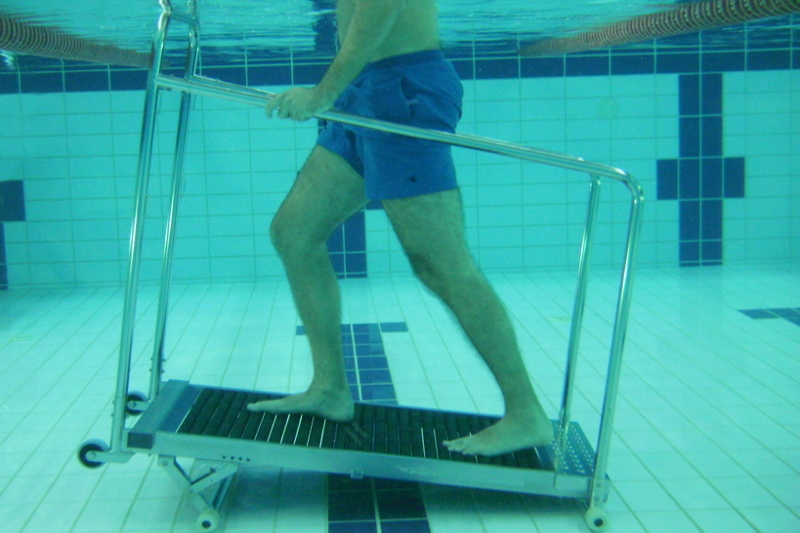 It performs special exercises and movements on patient, which in combination with water's mechanical (buoyancy, hydrostatic pressure, resistance) and thermal properties bring about short and long term adjustments. This results in therapeutic effects on the patient's body. 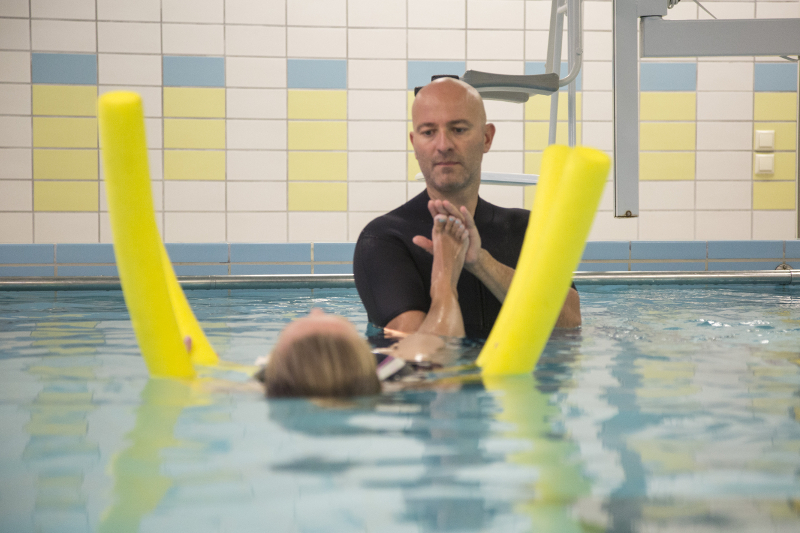 As the friendly aquatic environment does not take place in any of the "frustrations" that the patient may often experience on land, there is a spectacular improvement in the mood and quality of patients life during their rehabilitation. 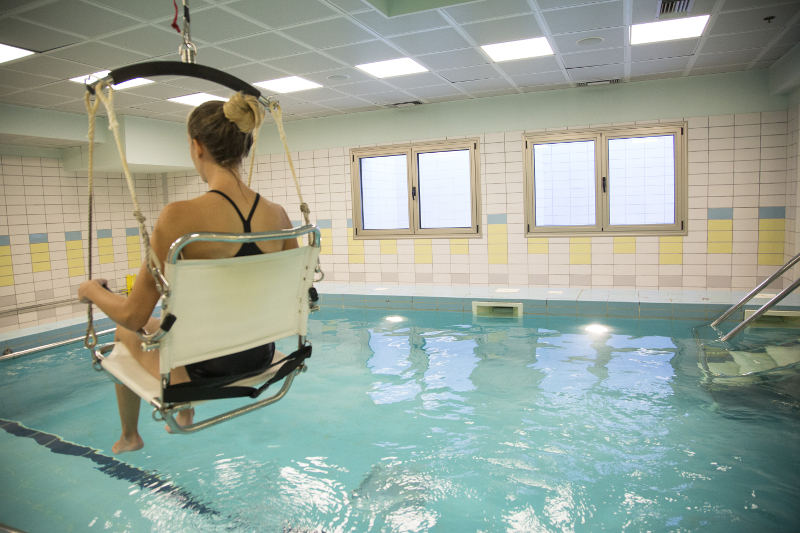 Our mission in Rehabilitation is the application of the most modern hydrotherapy methods, in accordance with the principles of the International Classification of Functionality, Health and Disability (ICF), in open and closed hospitalization patients. The experienced hydrotherapists of our Center are responsible and in charge of designing customized programs, based on the personality and the characteristics of each patient. Two-level swimming pool with a water temperature of 33 ° C.
Automatic water purification and chlorination systems. Changing rooms (typically and for disabled people). Easy access stairway for walking patients. A ceiling crane and a floor crane for transporting of non-walking patients. A perimeter handrail inside the pool, for easy maintenance of patient balance. Exercising aids: supportive (foam cylindrical tubes - dumbbells, floatation life jackets, float zone), resistance (dumbbells, elastic straps, flippers, hand swim fins).